FILES: Former Ambassador Apolinario “Jun” Lozada on Tuesday, July 31 dies at age 67 after he suffered from brain hemorrhage. The former ambassador was diagnosed with prostate cancer in 2014. (Eagle News) — Former ambassador Jose Apolinario ‘Jun’ Lozada Jr., died at the age of 67, on Tuesday, July 31. Lozada, who became an Ambassador to the Philippines in Austria, Palau, Baghdad, and the See of Rome at the Vatican, suffered from brain hemorrhage and was confined at the National Kidney and Transplant Institute (NKTI). Department of Foreign Affairs Secretary Alan Peter Cayetano sent his condolences to Lozada’s family, saying that the former ambassador’s passing was a time of “great sadness” for the DFA. “I join the men and women of the Foreign Service in mourning the passing of an astute diplomat and legislator in Ambassador Lozada. I send my condolences and prayers to his family and friends in this time of great sadness,” he said. 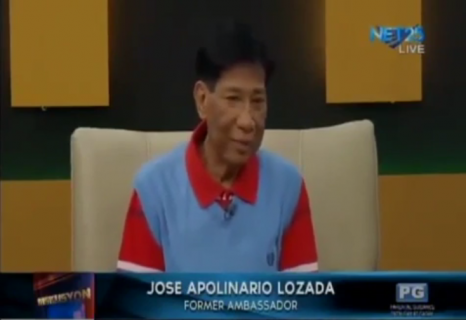 “Ambassador Lozada and I were good friends and seatmates during the 11th Congress in 1998. I will always remember him as one who championed the welfare of our diplomats and kababayan abroad,” Secretary Cayetano said. Lozada, In 1998, was elected as Representative of the 5th District of Negros Occidental, where he served as the voice of the DFA and overseas Filipinos. As chairperson of the Committee on Foreign Affairs of the House of Representatives, Ambassador Lozada sponsored the bills that became the Dual Citizenship Law and the Overseas Absentee Voting Law. He also became a representative of Negros Occidental for two consecutive terms until 2004, and also served as the chairman of the House Committee on Foreign Affairs. 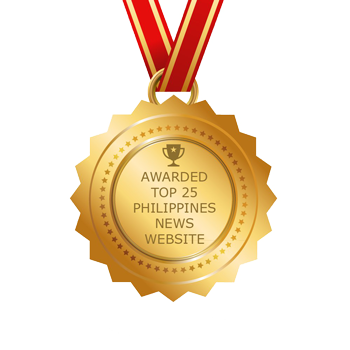 In recognition of his contributions in the Foreign Service, he was bestowed the Felipe Agoncillo Distinguished Service Award in 2014. Ambassador Lozada also served in Malacañang Palace as Appointments Secretary and Chief of Protocol to then President Fidel V. Ramos. Born on 17 August 1949 in Quezon City, Ambassador Lozada holds a master’s degree in Physics from the Silliman University, a master’s degree in Public Administration from the University of the Philippines and a bachelor of science degree in Mathematics from De La Salle University. He is survived by his wife and four children. Lozada was diagnosed with prostate cancer in 2014.